As with many other foods, lobster cooked and served simply is often the best - better than when hidden in a thick cream sauce or a spicy tomato sauce. In a simple presentation, the sweet and succulent flavor of the lobster shines through, something that doesn't happen when this subtle meat is combined with strongly-flavored sauces. For most North Americans and Europeans, especially those who are dealing with a true lobster (click here to read more about the lobster family), lobster cooked simply means boiled lobster. However, in Brazil it's not common at all to see boiled lobster on restaurant menus, or at the family table. In Brazil, lobster cooked simply means grilled lobster. Grilling a lobster in the shell is an excellent way to showcase the flavor of the crustacean. 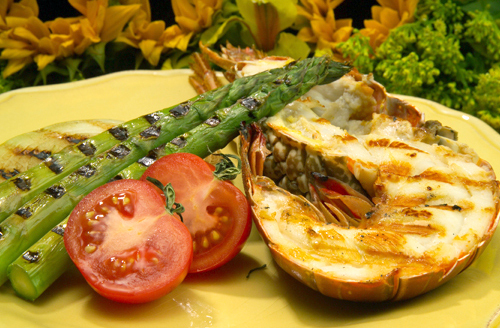 Unlike boiled lobster, which adds no flavor at all to the meat, grilled lobster adds the note of smokiness that is characteristic of grilled foods. This hint of smokiness doesn't mask the flavor of the lobster, just makes it a bit more complex. 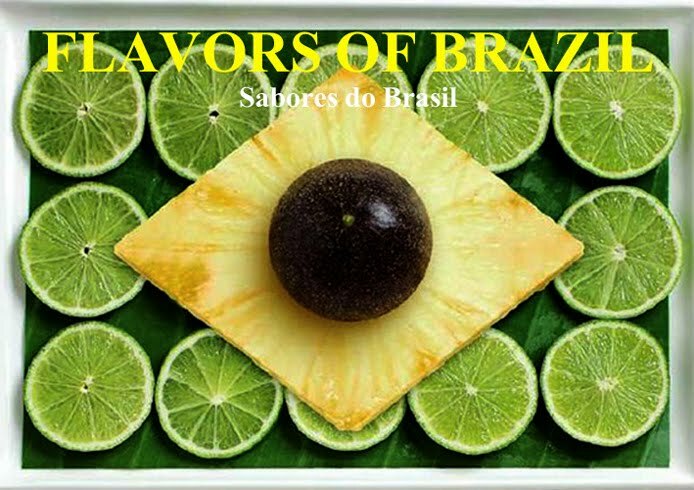 And as far as Brazilians are concerned, this also makes it even more delicious. Here's a recipe from the northeastern Brazilian state of Ceará, one of the principal sources of Brazilian lobster. It works best with spiny lobster (the tropical one), but is also suitable for true lobsters as well. Cut each lobster into two pieces, cutting on the longitudinal axis from head to tail. This is best done with strong kitchen scissors. Do not remove the meat from the shell. Sprinkle the white wine and a bit of salt over the cut side of each piece and reserve while the grill heats to medium heat. Using a grill brush, brush the olive oil on the grill to prevent sticking. Place the lobster tails on the grill, meat side down and grill for a few minutes, or until the meat is opaque and the surface has just begun to brown. Turn the tails over, and grill with the shell side down until the shells have turned bright red. Remove from the grill. Serve immediately, with a green salad and boiled potatoes or white rice. Accompany with plenty of fresh lime wedges for squeezing over the lobster. We boiled some and grilled some....we enjoyed the grilled much more!